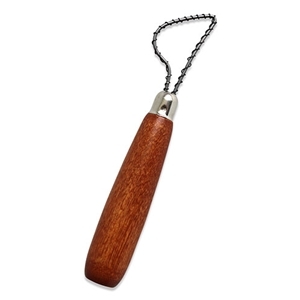 The Bullnose Texturing Tool is made of high carbon steel ground wire and a hardwood handle designed to fit the hand comfortably. The heavy duty wrapped wire is ideal for texturing Plastilina, self-hardening clay as well as moist clay. The rounded angle of the wire end gives the tool its name "bullnose". Approximate length - 6 1/4".